You know when you find a book that completely consumes your life & leaves you unable to put it down... so much that the dirty dishes remain piled high in the sink, the laundry lay scattered about on the floor, and your dog looks at you with her leash hanging from her mouth. Yeah.. it's THOSE kind of books that remind me why I love to read so much. I recently devoured Cassandra Clare's latest novel, Clockwork Prince - the second in her Infernal Devices series, and OMG has it wrecked me. First of all, the book is about a million pages long and a few feet deep. Ok not really, but it IS a lengthy story. The fact that I tore through those pages like nobody's business should tell you something. From the moment these characters presented themselves in this second installment, I was lost... in the best way possible. For those who don't know, this story is set in Victorian London. We're talking corsets, proper courtship, and high tea at noon. The few moments I had to put the book down, I'm pretty sure I was speaking in some old English verb-age with a terrible accent. I may or may not have been seeking runes & trying to look pasts glamours. Yes, I am aware of how much I lost it by then. THEN there came the gasping, OMG WHAT ARE YOU DOING? !, oh dear god, yes yes yes, no no no moments. They were intense, to say the least. Thank the heavens for my bookish friends (Anna & Molly) who were there to support me and hold my hand as I went through this experience. I was even given proper page numbers to look out for (thank you Jess!). I was informed that the ending would be emotional, and to try and not finish it in public. I am happy to say I took their advice & ever so thankful that I did. The UGLY TEARS came and they came hard. It felt like my heart was ripped out of me and stomped on, but then placed back inside ever so gently. This book. THIS BOOK. As I closed that final chapter, I just sat there... staring... the words, "why? why? WHY?" flowing out of my mouth. Oh Cassie Clare you devilish woman, you. How I adore your literary soul! THIS is why I have fallen in love with books so much, because they make me feel like nothing else can. It's art that's come to life. I am now in need of therapy, though. For those that have read this book, can we please form a support group? I feel as though I need to talk out my emotions. We can hold hands and guide each other through this process, together. 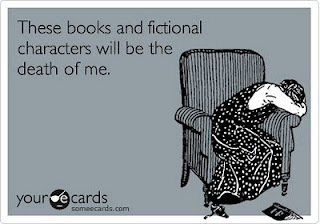 Hopefully by next year, when the third book comes out, we'll be prepared. Something tells me my heart will go through the ringer a few thousand times more, though. And you know what? That's OK by me. Bring it! P.S. TEAM WILL ALL THE FREAKING WAY. And if you disagree with this, I may question our blogger relationship. hahaha just kidding. kind of. I had this problem with Jellicoe Road. I still need to read this series! I'm so out of it. I am Team Will 100%, too! I really feel like they are soul mates. I firmly believe that their love will survive this. Will needs to learn to love again and I don't think it will be easy for him. I think he needs to mend before they could ever be together. I LOVE sad stories so maybe that's why I wasn't super upset at the ending. Or maybe I wasn't upset because I couldn't shake the feeling that despite the ending, they will still end up together. I think that Jem is the one that is going to get hurt in the next one (or he'll just plain kick the bucket). I'm probably gonna have to hit you up when i *finally* get to read it. 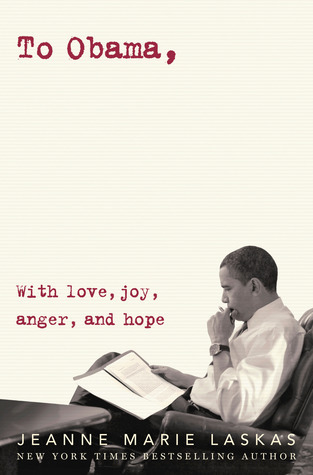 YAY--I just ordered this one and can't wait to read it. Guess I'd better line up my support group (Twitter will hear my cries as my real-life people just don't get it!). Remember what happened at the end of City of Ashes? I haven't read Clockwork Prince yet, but I was expecting a significant wrench to be thrown Team Will's spokes. If for no other reason than because I'm a member. Oh, I love books that make me react in such a strong way, it hurts sometimes but I wouldn't trade the feeling. Absolutely great review for an absolutely great book!!!!!!!!!!!!!!!!! Team Will! I loved the other three books that I read from her so I know that this new series will be ah-MAY-zing! welp, this may be the best review for a book I have ever read.. i wasn't sold on this series till right now.